> MENAJE GENERAL>CAZUELAS DE FUNDICION >CAZUELAS WECOOK! CAZUELAS WECOOK! Hay 6 productos. CAZUELA ECOCHEF 24 CM WECOOK! CAZUELA BAJA DE ALUMINION FUNDIDO ECOCHEF 24 CM CON TAPA DE VIDRIO TEMPLADO. INCLUYE DOS ASA DE SILICONA EXTRAIBLES Y TERMOAISLANTES. CAZUELA ECOCHEF 28 CM WECOOK! 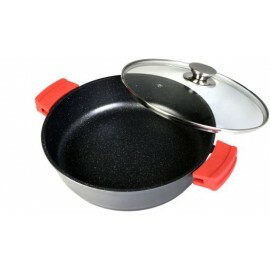 CAZUELA BAJA DE ALUMINION FUNDIDO ECOCHEF 28 CM CON TAPA DE VIDRIO TEMPLADO. INCLUYE DOS ASA DE SILICONA EXTRAIBLES Y TERMOAISLANTES. CAZUELA ECOCHEF 30 CM WECOOK! CAZUELA BAJA DE ALUMINION FUNDIDO ECOCHEF 30 CM CON TAPA DE VIDRIO TEMPLADO. INCLUYE DOS ASA DE SILICONA EXTRAIBLES Y TERMOAISLANTES. CAZUELA ECOCHEF 32 CM WECOOK! CAZUELA BAJA DE ALUMINION FUNDIDO ECOCHEF 32 CM CON TAPA DE VIDRIO TEMPLADO. INCLUYE DOS ASA DE SILICONA EXTRAIBLES Y TERMOAISLANTES. CAZUELA ECOCHEF 36 CM WECOOK! CAZUELA BAJA DE ALUMINION FUNDIDO ECOCHEF 36 CM CON TAPA DE VIDRIO TEMPLADO. INCLUYE DOS ASA DE SILICONA EXTRAIBLES Y TERMOAISLANTES. CAZUELA ECOCHEF 40 CM WECOOK! CAZUELA BAJA DE ALUMINION FUNDIDO ECOCHEF 40 CM CON TAPA DE VIDRIO TEMPLADO. INCLUYE DOS ASA DE SILICONA EXTRAIBLES Y TERMOAISLANTES.